Is it Okay to Miss Church to Rest? It’s okay to stay home from church to rest. It’s been a bad flu year and I think most of us cringe inside when people who are sick and need to be home come to any public gathering. They stay sick longer and share their ills with the rest of us. When my son was a baby/toddler, he had health issues that kept him from sleeping. We live on some curvy roads and I learned the hard way I need at least three hours of sleep to have any business driving. When he had been up all night, my pastor husband told me to stay home and catch as much sleep as the two of us could get. So, yes. When our body needs physical rest, we probably ought to stay home from church gatherings. Do you feel the need to stay home because you’ve had hurt feelings and the emotions you carry are exhausting? I can relate. But that is simply the enemy ripping you off. You aren’t meant to carry around hurts. We must process those hurts with our Lord and leave them in His care. Seek to be healthy in your church relationships. Scripture is overflowing with the encouragement to “bear with one another” to be “patient,” “long suffering,” “forgiving.” My husband often reminds me that in order to grow in the ability to bear with others, they must give us something that feels unbearable. So it isn’t healthy of us to expect that people at church will somehow be perfect. That is saved for heaven! Also, people in church are in the midst of their own growth journeys. They might need someone to come alongside them and honestly, yet lovingly say, “You know it just stabbed me right through when I heard you were talking about me to so-and-so…” Far too often we let the enemy play us like fiddles in this area. Your relationship with God is yours. Don’t let someone else’s relationship with God get in the middle of yours. The Lord instructs His people to attend church. He doesn’t say you should maybe go share your life with other believers if you find some you like. No. He says share life. It’s how you were designed. You need them. They need you. Go. He’s bigger than any of the hurt that can come to you. So let Him be. Obey Him and when church life hurts, let Him grow you, process it with Him, and experience all the good that comes from sharing life with God’s children. Since I’ve become a mom I have a new understanding about parents and church. When they are sick or teething, you might need to miss church. And then there’s the days you come, but their needs make you so distracted it almost feels as if you never went to church. You just sort of got to do a juggling act in public in “outside clothes” instead of at home in private in yoga pants. The temptation to just catch the sermon online is so real. But something that your pastor or worship leader or Sunday school teacher might not tell you is, they need you. They need you in attendance to allow them to grow and serve just as much as you need their teaching, leading, worshiping ministry. The body is made up of individual parts, and all the parts need to stand up and be counted or the body, as a whole, suffers. I’ll never forget the first real flop of an event I coordinated. I had a great team pooled together for a family conference. Absolutely passionate, precious fellow servants. We had a video series for the parents and great lessons for the kids that complemented what the parents were learning. We had delicious food that had been prepared with love. We had prayed so much and gotten the flyers out in some places we hoped would make it a meaningful outreach to the community. I’d worked hard to make sure we could offer the parenting program for free with a children’s program included. I had fasted for the families that would come, for soft hearts, and gospel change. In the past, I’ve always chalked poor attendance up to something I did wrong as a leader. Maybe it wasn’t the Lord’s will or timing and in my enthusiasm I ran ahead of Him. Perhaps. Maybe I am not the communicator or leader I need to be. I should work on developing those skills. Sure. If only I was better at this. However, in recent years I’ve also seen a change and shared experiences with ministers from all sorts of churches. People aren’t engaging the same way they used to. So as ministers we change our approach. We make things more accessible. Easier. And easier becomes the focus of so much of our ministries. But if you listen closely to parents, teachers, bosses, doctors, and researchers across the board of our culture they echo something similar: people aren’t engaging. Parents aren’t engaging in their children’s growth. Teachers wonder what happened to the drive of students and the involvement of parents. Parents wonder what happened to their kids. Employers wonder why no one will apply themselves for work. Workers show up wondering where the jobs have gone. We are missing each other. Disconnect seems to shadow over so much of our lives. Screens have swallowed our faces. Careers have swallowed our lives. Schedules have swallowed significance right out from under us. And the church is swirled in the middle of it. We were called to be different. Not part of this world. Church is something we are, not just somewhere we go. But it is a collective. Not a single individual. You can’t experience church watching a sermon alone at home. You can’t be the church worshipping with songs on your iphone with your earbuds in. Being the church will require sacrifice. And on the most basic, beginning level, part of that sacrifice is getting out of your routine and comfort zone and engaging God’s people. Scripture tells us the Bride has made herself ready (Revelation 19:7). It’s who she is. Who she is meant to be. So make yourself ready. Make a conscious decision to be the set apart child of God you are meant to be and go be part of the church. Partake. Give. Let yourself learn and grow. 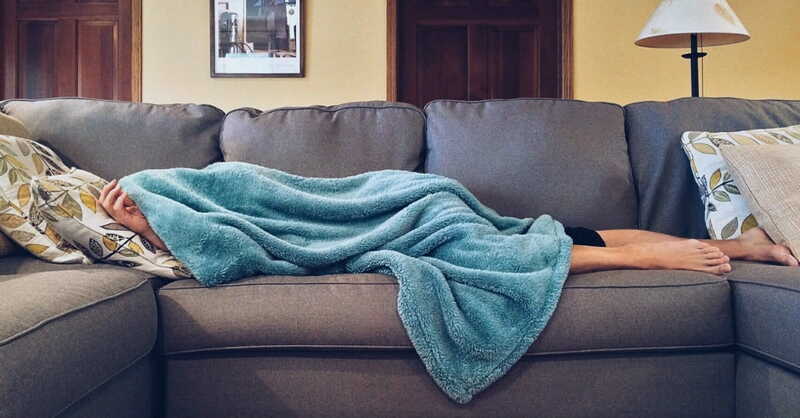 If you are tired and need rest, is it because the world is exhausting you and perhaps you’ve been engaging church with the same set of expectations as you do the world? Don’t approach church like you do the rest of the world. She doesn’t work that way. And it’s wearing all of us out.